Mt. Olive, together with many other WELS congregations believes Christian education and training is important for children as well as adults. 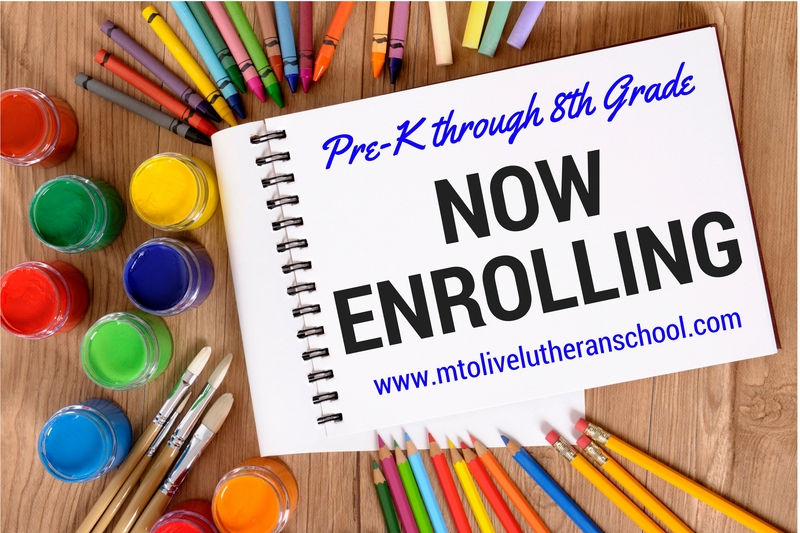 Therefore we offer not only part-time Christian education in Sunday School, Adult Bible Study, Men's & Women's Bible Studies, and Adult Information / Confirmation Class, but also full-time Christian Education in our preschool and Lutheran elementary school. Our school system includes preschool and Grades K-8, taught by a full staff of dedicated teachers. Firmly believing that education which neglects the welfare of the soul is incomplete, we maintain a Preschool through Grade 8 elementary school. Our school not only offers all courses prescribed by the State of Kansas, but we also include daily instruction in God's Word and Christian living. We invite inquiry. Our school is accredited through Wisconsin Evangelical Lutheran Synod School Association, a member of the National Council for Private School Accreditation. Visit the School Website Here!